We found an original brick arch during a recent stove installation project, that had been hidden behind plaster and layers of paint for many, many years. 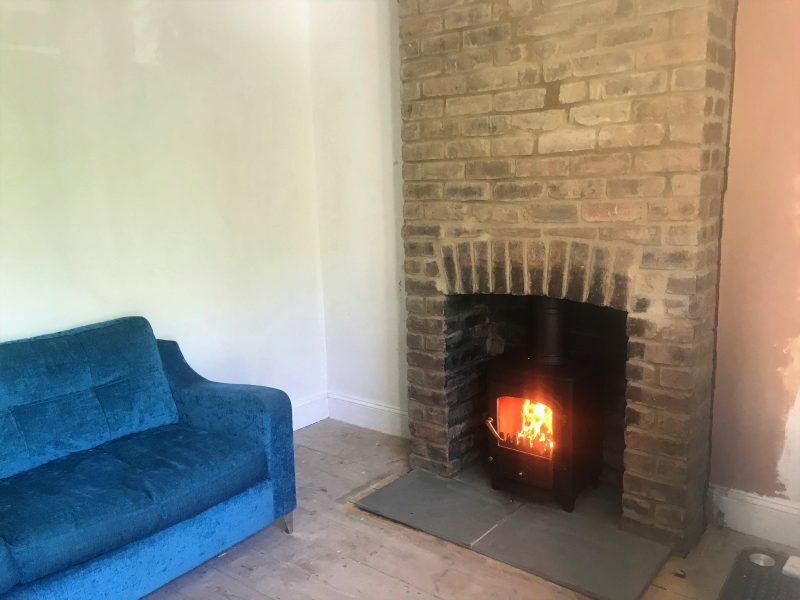 Our customers wanted to make the most of this feature - so we stripped off the plaster, re-pointed and tidied up the old brickwork and re-plastered around the outer edges. We think it looks amazing, with their new Clearview Pioneer and antique grey limestone hearth.